Why Transition Bath is concerned with DCLG’s attempts to abolish DECs for schools? At short notice, before the upcoming General Election the government has announced a consultation due to end on March 11th whose aim is to drastically reduce the number of schools which are required to provide annual Display Energy Certificates. 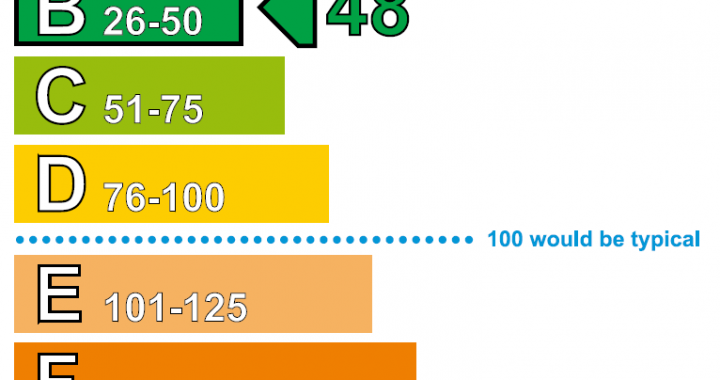 All public buildings that are visited by the public have been required to display their annual energy consumption, in the form of a grade between A and G relative to similar buildings since 2009. The stated aim of the consultation is to reduce ‘gold-plating’ and bureaucracy by claiming schools are not visited by the public and therefore should not be required to disclose their annual energy consumption. The availability of this annual check on a public building’s energy consumption has enabled us to target energy inefficient schools and make significant reductions in their energy consumption (see later in this article). The Transition Bath Schools Energy project was initiated by the availability of nationally available per public building energy consumption via CSE. The removal of this data goes against the government’s ‘Open Data’ policy and makes government less transparent. The intent behind this consultation seems consistent with the government’s policy to hide public building energy consumption from the public and external analysis – we don’t understand the reason for this? Transition Bath’s formal response to the consultation is available here. Four years ago we were given a talk by Lock-In Energy on their work in providing Energy Surveys at a number of schools in the Bath area. This talk highlighted the significant opportunities for energy reduction at the school’s they had surveyed. At the same time a Freedom of Information Request released 3 years’ worth of annual energy consumption data for all large public buildings based on their DEC certificates to the Centre for Sustainable Energy who made this data publically available. The graph displays the CO2 consumption per floor area (a good proxy for the relative cost of each fuel) split into gas, oil and electricity for each school in Bath and North East Somerset (B&NES) (represented by a bar). As can be seen there are very significant differences in per floor area energy use between the different schools; the best performing schools use less than 20% of the energy of the worst performing schools. This picture is consistent with schools nationally and reflects our experience of schools outside B&NES, this excellent national research mirrors our findings. By focussing in on the schools on the left hand end of the graph it is possible to identify schools with the most potential for energy reductions. 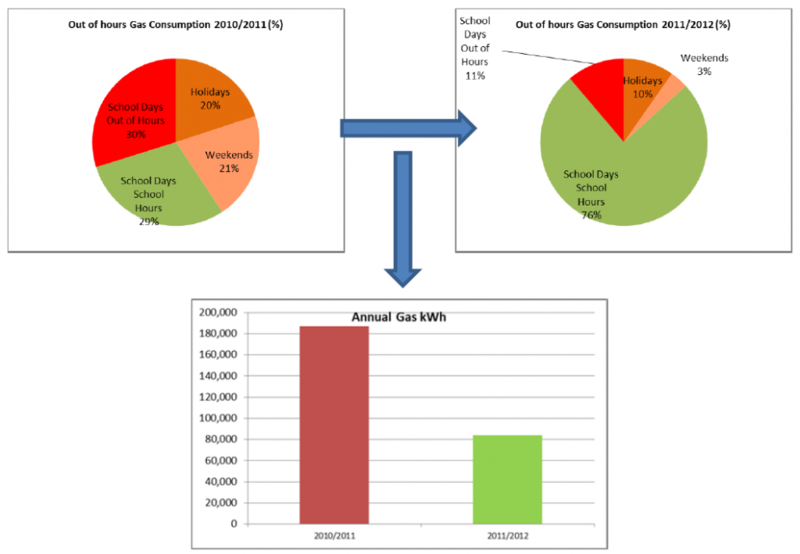 As a result of fixing the boiler controller gas consumption at the school has reduced by 55% saving the school significant costs. None of this would have been possible without the DEC data provided by the Centre for Sustainable Energy. It seems to us that political dogma has overridden common sense and rational scientific evidence at the Department for Communities and Local Government. We feel under Eric Pickles’ MP and Stephen Williams’ MP guidance this consultation is poorly thought out, and ultimately could significantly impact the opportunities to reduce the energy used in public buildings. We believe as tax payers we should have the right to see how well our public buildings are performing and do not think it productive to remove that right? The timing, just before the general election seems opportunistic? Posted in Energy, Schools Energy and tagged Display Energy Certificates.